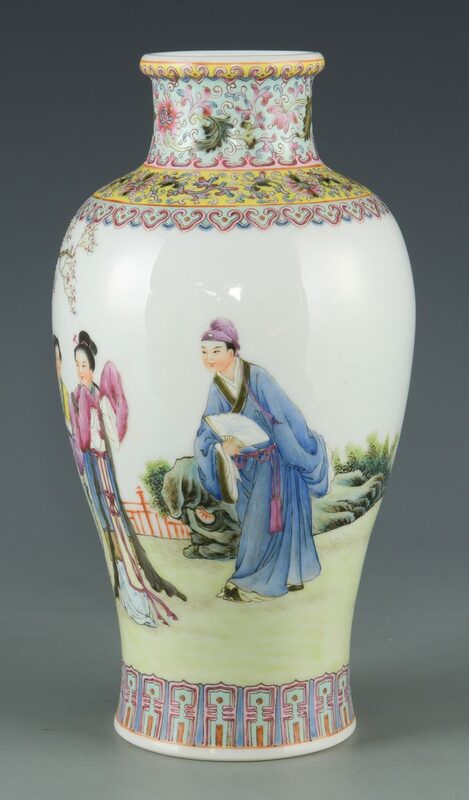 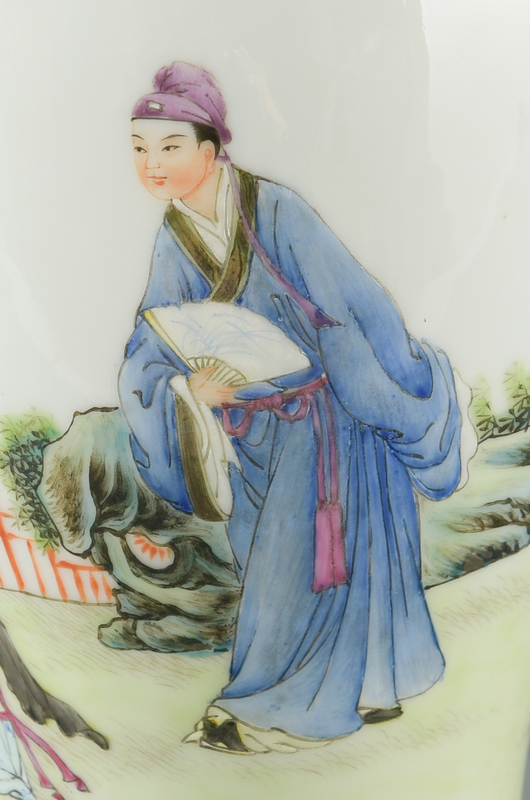 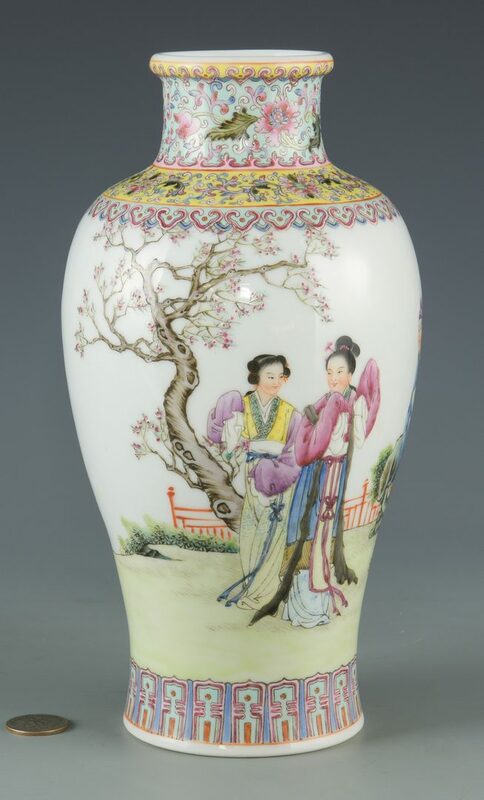 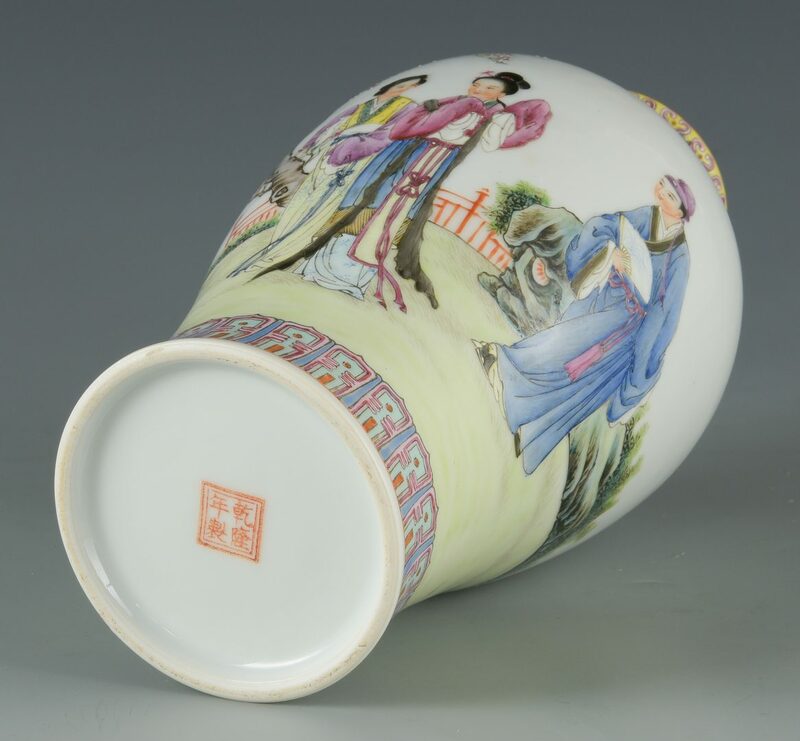 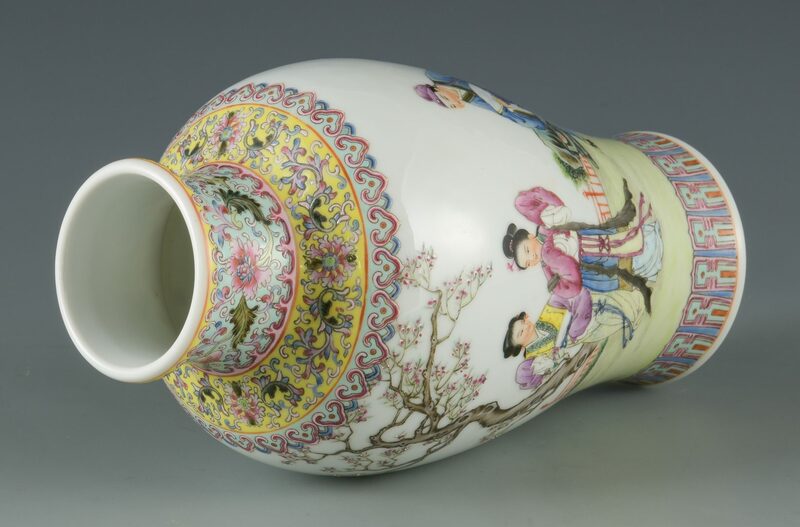 Chinese Republic Famille Rose porcelain rouleau form vase depicting a landscape scene with two ladies and a courtier, a Chinese poem and three red seals, one stating that the vase was made during the Qianlong Emperor reign, all on a white ground. 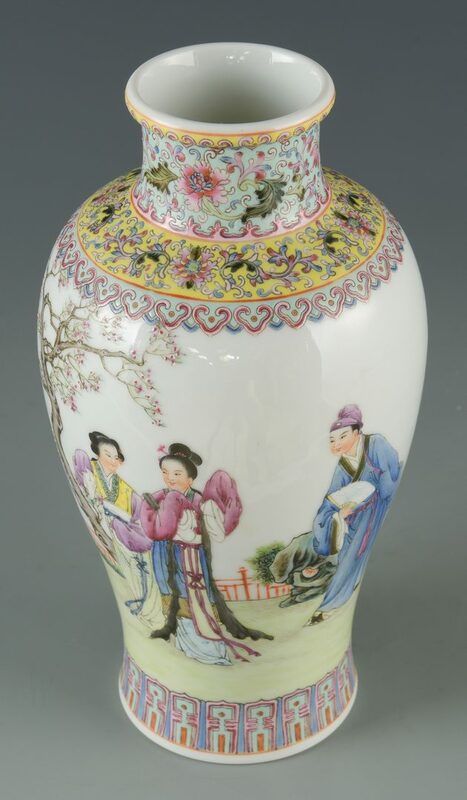 Two bands of painted flowers between two fungus of longevity bands at neck. 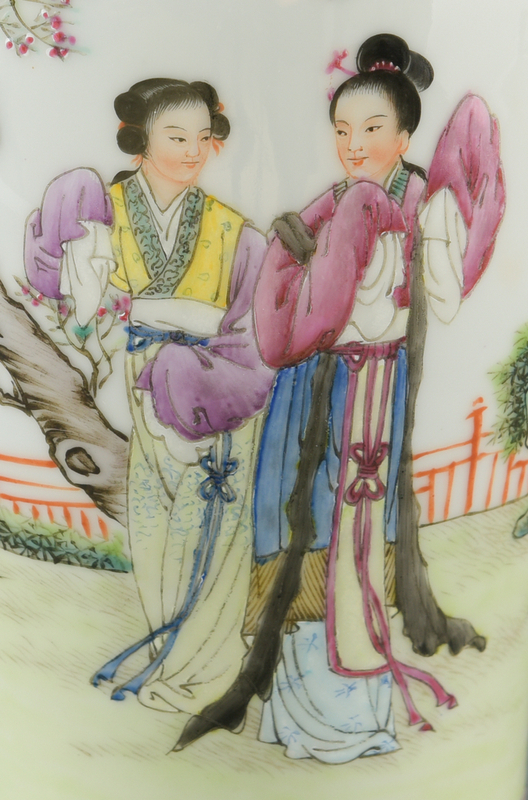 Multi-colored band with upright lappets at foot. 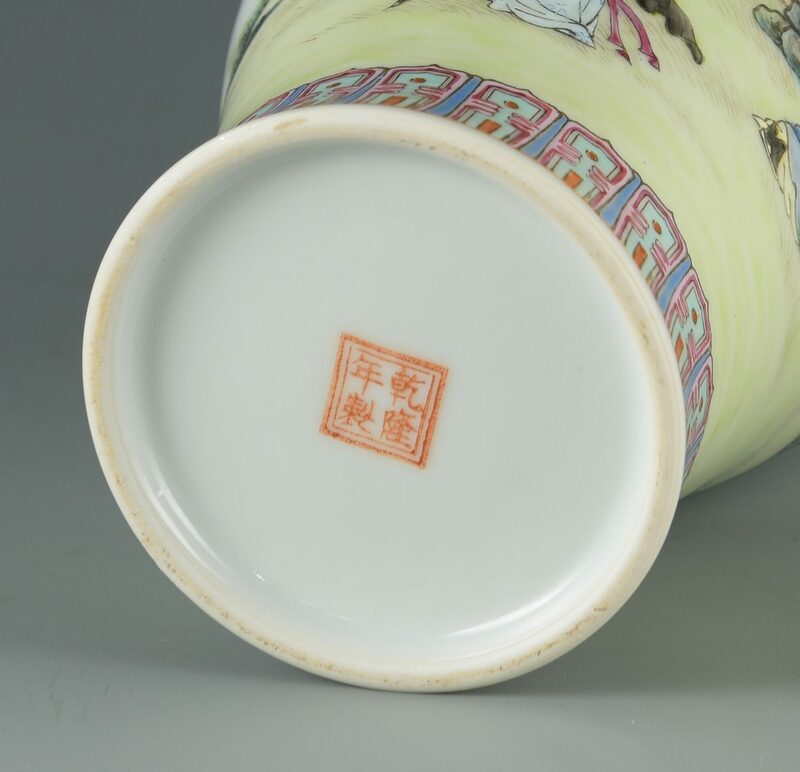 Red seal mark to base. 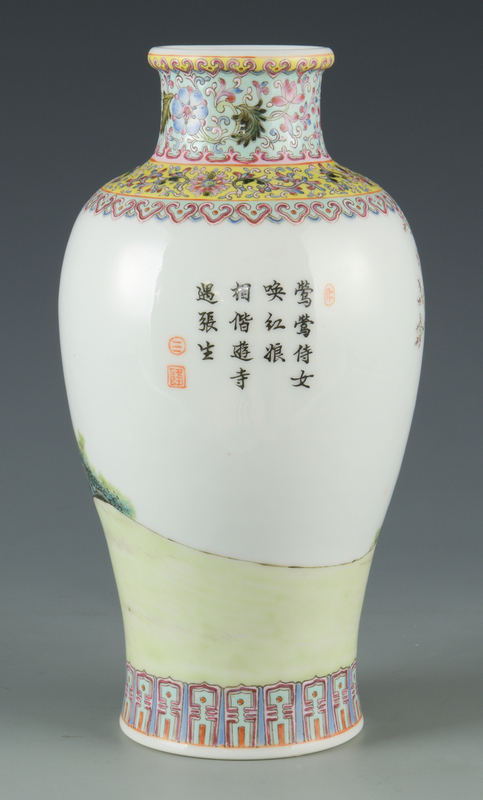 10" H x 5" W. Provenance: Private Knoxville, TN collection. 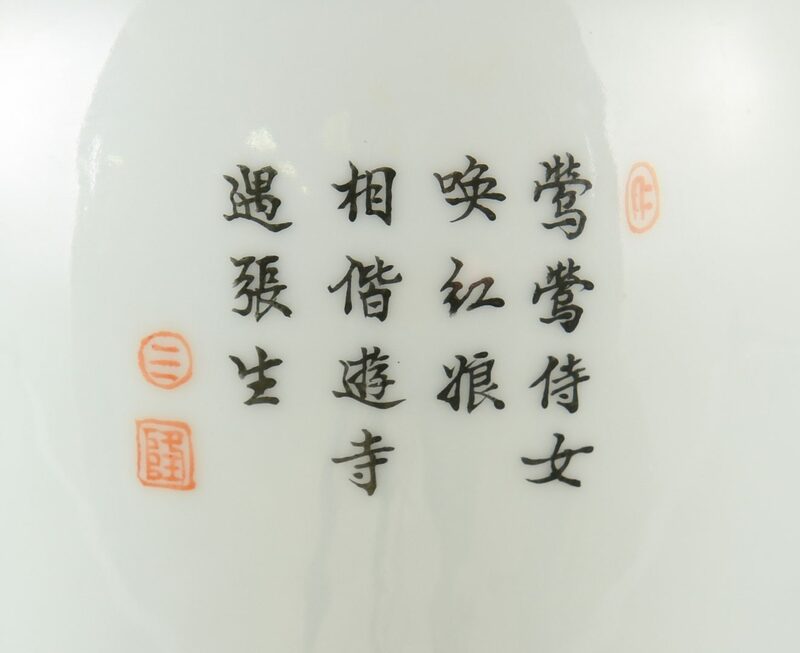 CONDITION: Light scuff mark, right of courtier.